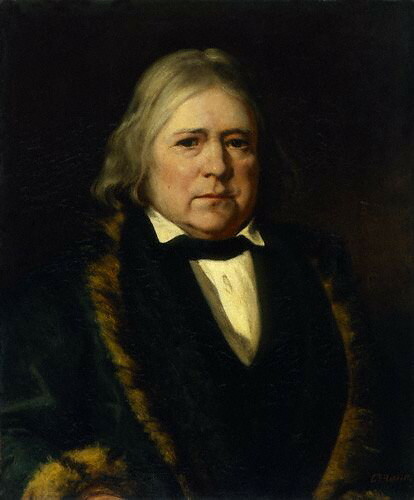 William Johnson Fox was a religious and political orator, born near Southwold, Suffolk. He was trained for the Independent ministry, at Homerton College (then in London). He later seceded to the Unitarians, and in 1817 Fox became minister of a nonconformist congregation which subsequently went on to become the non-religious South Place Ethical Society. In 1831, Fox bought the journal of the Unitarian Association, The Monthly Repository, of which he was already editor; for five years this was effectively the first ancestor of the Ethical Record, the Society’s current journal. Among the causes with which Fox identified himself and the Society were the spread of popular education and the repeal of the Corn Laws. From 1847 to 1862 he intermittently represented Oldham in Parliament as a Liberal whilst remaining minister at South Place for several more years.